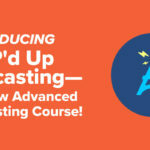 Introducing AMP'd Up Podcasting—My New Advanced Podcasting Course! 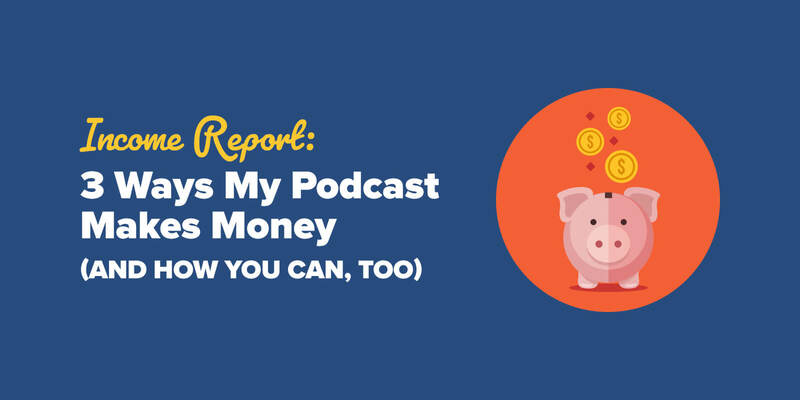 In this income report, I going to take you “behind the microphone” and share three different ways my podcast helps me make more money, and exactly where it all comes from. I’ve been talking a lot about advanced podcasting strategies lately, and if you missed my video interviews featuring several different podcasters and how they’re each using their podcast to support their business, click here to watch and discover new ways to promote your business with your podcast. Generating an income with your podcast is 100 percent possible, and you don’t have to rely just on advertisements and sponsorships. In fact, especially if you have a smaller audience, you have way more opportunity elsewhere to generate more income than you would with advertising. Affiliate marketing—generating an income by recommending other people’s or company’s products—is my bread and butter. It’s how I’ve generated most of my income online since 2008, so it was a natural fit for me to blend it into my podcast once I started to get comfortable behind the microphone. Over the past eight years, I’ve discovered some fun ways a podcast can support your affiliate marketing efforts. 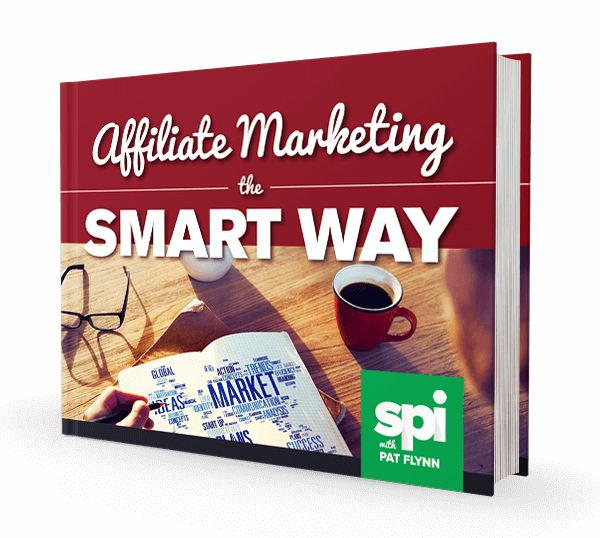 Affiliate marketing is simple, but it’s not easy. Find a product you’d like to promote, grab an affiliate link and send traffic through it. Done, right? Those are the motions, but like in golf where the concept is easy (hit the ball, get it in the hole), it’s easy to struggle and be terrible at it. The follow-through and execution is everything. The challenge with affiliate marketing is that you’re promoting products that are not your own. Because of this, you have to work a little bit harder to have your audience trust you and your recommendations. This is where podcasts provide a major advantage. Due to the nature of the medium, you can use podcasts to quickly earn that trust with your audience. How? Use your podcast to tell stories that relate to the affiliate product. Stories provide context. Stories are relatable. Stories are inspirational. And when you tie a great story to an affiliate product, it’s a match made in heaven. We talked about the wild journey that Nathan had for years after starting his company before ConvertKit became a household name in email marketing. We discussed why he decided not to take on investors to grow his start up, and specific conversations that he had with people that changed the course of the business. Struggles. Pain points. Almost giving up. Triumph. For listeners, by the end of the show, you can’t help but become more connected to Nathan, and as a result, ConvertKit, too. And when the time comes for a call to action to give ConvertKit a try, it’s a natural conclusion to the entire story for people, especially if they are in the market for such a tool. One issue with podcasting is that tracking conversions from specific episodes can be difficult. In this case, I did not use a unique identifier or link that was specific to this episode and just used my general affiliate link that’s tied to an extended free-trial. Lastly, what’s cool about a podcast is that anytime I mention ConvertKit, whether online or in person, I can confidently recommend this episode to people. For an important decision like “which email service to use,” a recommendation to listen to a podcast to learn more about the story behind the product, versus a direct recommendation to the product itself is less aggressive and salesy, and more organic. Just like how I mentioned it here in this post. 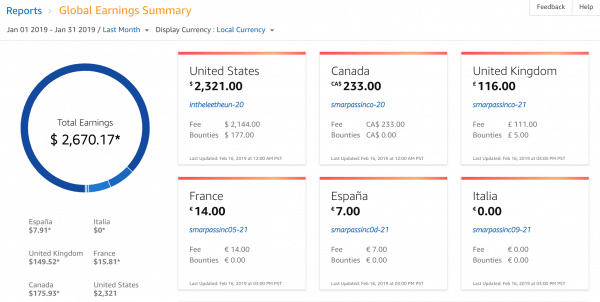 ConvertKit’s affiliate program pays 30 percent commission for anyone who purchases through your link. The great thing is that it’s a recurring commission for the life of the customers you send through, so although at the lowest price plan you’re only earning $8.70 per sign up, that equates to $104.40 for the entire year (if they stick around), and even more if they upgrade their plan and stay a happy customer. If I were to take a guess, I would say that this episode alone has helped generate over $100,000 in commissions over the past two-plus years since the episode came out, both directly through CTAs in the episode and show notes, and indirectly by referencing the episode elsewhere on the blog and other podcast episodes to support the product recommendation. And to give you an idea of how well a well-integrated affiliate product can be for your business, my commission from ConvertKit alone last month was $14,018.67. Most of that coming from my resource page, as well as the 100 email marketing challenge. But what if you don’t have access to the product owner for the product you’re promoting? Then tell your own stories about how you’ve used the product or tool with great success. In this solo podcast episode from 2013, I talk a little bit about my journey as a speaker. After speaking on stage for just two years at this point, I went from being deathly afraid of the stage to actually getting paid to be on it. This episode is a braindump of all the things that helped me along the way. I do not share these resources anywhere else on the blog or podcast, and still today, nearly six years later, I see these books being purchased on my Amazon reports. Yes, the affiliate commission is quite small since it’s from Amazon, but the longevity of podcasts make it worthwhile. The trick here is not to just mention a book in passing, but actually sell the book to your listeners. No, you don’t need to write up a full-length sales presentation, but actually being direct with your pitch is the most important thing. Affiliate marketing. It’s powerful, just make sure you’re purposeful and honest and authentic in your recommendations. If you promote a bad product, you’re essentially planting bad seeds for the future that could ruin the great reputation and character you’re building with your podcast. Care about your audience, promote great products, and these seeds you’re planting will grow into an amazing income source for you in the future. Besides affiliate marketing, if you have your own products or services to promote, then you should 100 percent use your podcast to help you support that. How though? There’s one way that’s better than all the rest, which we’ll talk about in the next section. What’s better? You promoting your own product, or someone else doing the promoting for you? Well, obviously it depends, because a great pitch by you can perform better than a poor pitch by someone else; however, in general, when someone else does the selling for you, it usually converts much better. This is why things like reviews and testimonials are so powerful—we listen to how others have enjoyed (or not enjoyed) a particular product or service. When you have your own product or service to sell, instead of focusing 100 percent on promoting the product yourself (or even having your own product become the sponsor of your podcast, which is totally okay and very common), why not use the asset you’ve built to feature the success of your customers and students? Well, this is exactly what I did in SPI Podcast Session #275: Real Stories and Results from 3 Brand-New Podcasters. In this episode, I interview 3 brand new podcasters who were also three of my beta students from my course, Power-Up Podcasting. For each student, I ask questions about why they wanted to start a podcast, what some of their biggest challenges were, and the results of what has happened since starting their show. And without even asking or mentioning it myself, my course comes up naturally in the conversation. I timed this episode to publish the same week that Power-Up Podcasting went public for the first time. It became an amazing 56-minute testimonial for my course. For those who didn’t know my course was coming out, obviously now they knew (and it wasn’t me telling them), and for those who were on my waitlist who knew about this course, this episode became a great excuse to email them to let them know they can do it, too. When you create these kinds of episodes with stories from your students, try to pick a few stories that range across different avatars in your target audience. It doesn’t have to be age-based, either. Perhaps it’s choosing people at different skill levels or experiences. For example, if you have a fitness podcast, but you want to sell a nutritional program, choosing a student who is a marathon runner for one story, and then someone who is just getting off the couch and into their first fitness regime for another, will help you capture the range of people who can relate to the show. Which takes us back to the power of podcasts: relatability. Ask your students what their biggest challenges were, and how they got over them. Make sure you ask questions to pull out the results they have. They are a living “AFTER” picture for the audience who is sitting in the “BEFORE” position. Ultimately, make your students the hero of the story. They are the Luke Skywalker, you’re the Yoda who helped them along the way. An important character, yes, but not the protagonist. So how did this particular episode perform? Similar to the affiliate marketing example with ConvertKit, I wasn’t smart enough to have unique links in this episode to track, and tracking conversions specifically from podcasts is difficult (anyone have a solution for this? ), but based on the feedback it’s obviously something that supported the launch, and to date, it was the highest performing launch I’ve ever had. I continue to reference this episode to this date, and over time, it’s had over 22,000 total downloads! Before we finish up, I do want to mention that advertising and sponsorships are still very viable options for generating an income. I’m not going to go too deep into the how-to as I’ve done less and less of it since coming out with my own products and it’s not where most people can start, however I do still include sponsored ads on my shows. Both of my primary shows, Smart Passive Income and AskPat, have generated advertising revenue. I’ve generated over $350,000 in advertising revenue since 2014 when I began, but I’ve had some issues with it over time. With podcasting, the pricing structure is a bit weird. Usually, it’s based on a CPM model (Cost Per 1,000 downloads), which can range anywhere between $15-50. When I worked with an advertising agency, I was seeing a $18-30 CPM price range, and when I worked directly with companies, I could usually command a higher rate. Additionally, I only allowed my advertisers to have the end of the podcast, also known as post-roll, which hurt my numbers because there’s more money for podcasters creating pre-rolls (before an episode begins) and mid-rolls (advertisements within the middle of an episode). I care a lot about my listener experience and didn’t want five minutes of ads up front before getting to any content in the podcast, like other podcasts I’ve listened to. That said, with AskPat, I do include a pre- and post-roll ad spot, but they’re usually much shorter, and actually, I’ve never once heard a complaint. It doesn’t mean those complaints aren’t there, but the show has continued to grow and serve my audience, and that’s the most important thing. For advertisers, these CPMs were based on average number of downloads per episode after six weeks, which isn’t a great metric, in my opinion. Podcasting has a LONG way to go on so many fronts, and this is one of them. What does a download actually mean? Is that the same as a listen? In many cases, advertisers didn’t even ask for confirmation of numbers that I shared, which leads me to believe advertisers don’t really know 100 percent what’s going on, either. It’s like the new billboard—companies are buying the space in high-trafficked areas, just because it’s there. However, most advertisers usually have unique links or coupon codes that allow the company to know if a lead or customer came from a particular show, which is a start, but like I said there is a lot more opportunity for innovation here, and I’m excited to see big companies start to get involved with putting more time and resources into podcasting, like Spotify, which recently acquired Anchor and Gimlet Media for several hundred million dollars. What does this mean for us podcasters? At the time I write this, I’m not exactly sure yet. Perhaps we’ll see better findability for podcasts and a better process for learning more about how our show is consumed. Perhaps there will be cross-podcast promotion in a built-in advertising platform, or maybe even sharing and discoverability will be easier through shared playlists. As a podcaster, I do think the advertising thing for podcasts is still a great opportunity and if you have the download numbers, definitely see how you can work with a company and make it a win for everybody—you, the company, and your listeners. That said, I predict that in the near future, Google will become a big player for both podcasting and advertising. With Google Podcasts a thing now, and the ability to use its technology to do things like crawl through our podcast episodes and transcribe them (just like they can with YouTube), I imagine a lot more resources coming our way very soon. I look forward to being one of the first to jump on some of these new opportunities, and you can be sure I’ll be sharing my findings along the way. If you’re a podcaster and you want to learn more about how to “go pro” with your podcast and better use it to support your business, then make sure you catch my recent video, Beyond Beginner Podcasting. I’ll show you how to unlock the true growth and business potential of your podcast. I also show examples of several podcasters across various industries and how they are using their podcast to bring in more business. Click here to watch that video now, and thank you again for being here as I continue to learn, share and grow with you and your business, too.